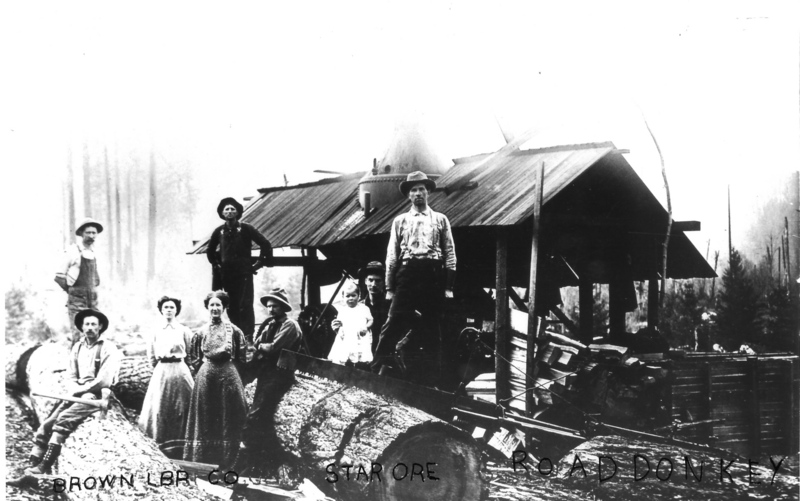 Some of the hardworking employees of the Brown Lumber Company. 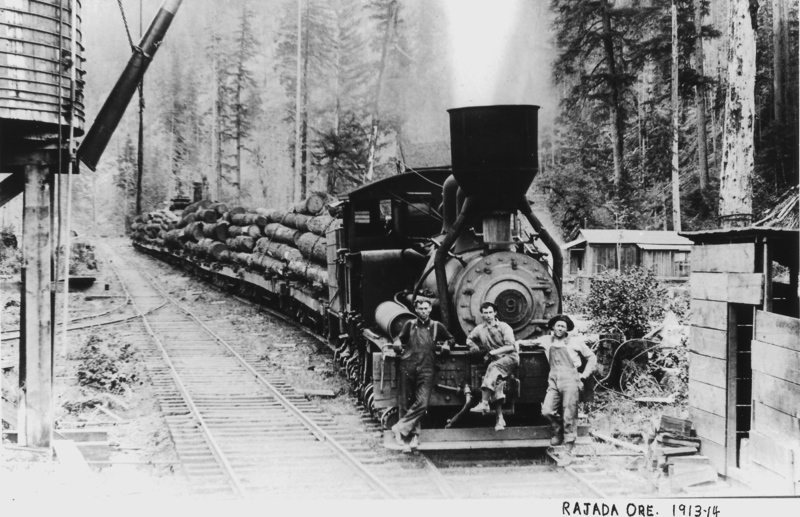 The company was started in Dorena in 1902 by Eugene banker Willis Brown. 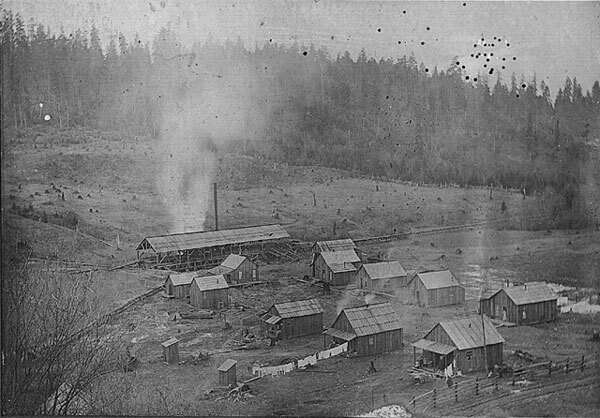 He started logging camps at Rocky Point in 1913 and Rujada in 1914. His son Warner took over the business after Willis died in 1914. 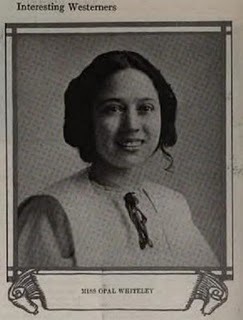 Warner Brown became one of the founders of Bohemia, Inc. 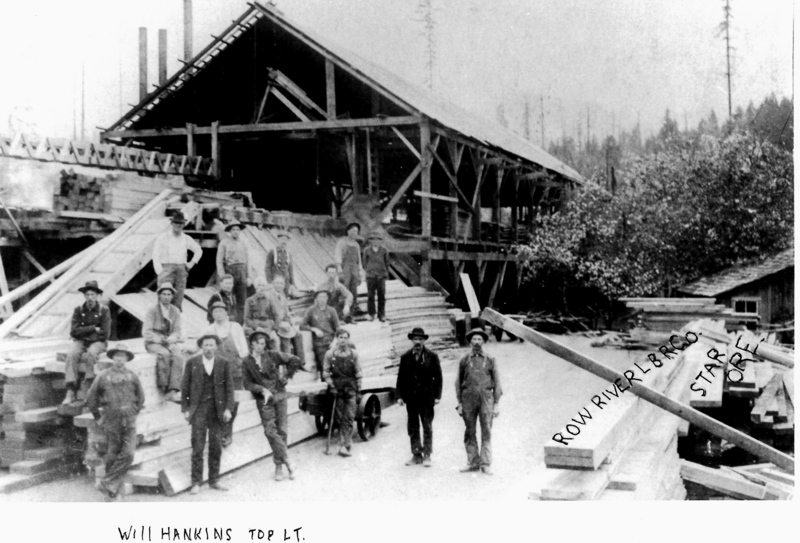 Timber was the mainstay of the Row River Valley for over a century. 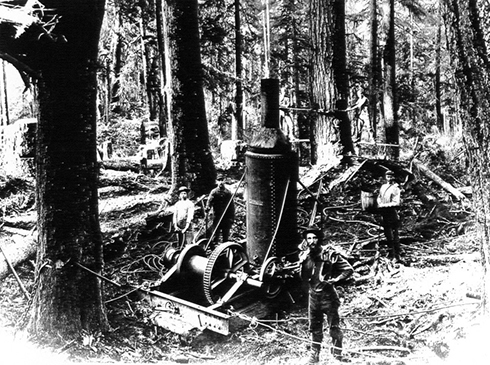 The first lumber mill in the valley was called Up Today and Down Tomorrow and was used by early settlers to mill the lumber for their homes. 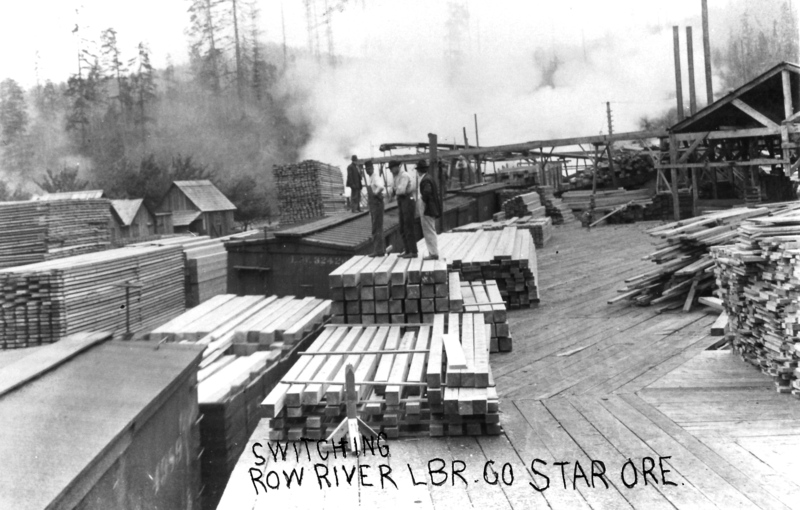 At one point there were 11 lumber mills along the Row and its tributaries. Among these were Booth Kelly, Durable Fir, Wildwood, Brown Lumber, Row River Lumber and the big daddy of them all, Bohemia. 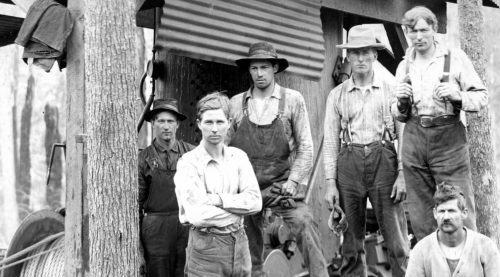 For a comprehensive look at the Timber Industry in the Row River Valley, try to get a hold of a copy of Bohemia, The Lives and Times of an Oregon Timber Venture by Michael Thoele, published by the Oregon Historical Society Press. © Dorena Historical Society 2009 | Created by Jay Hafling.